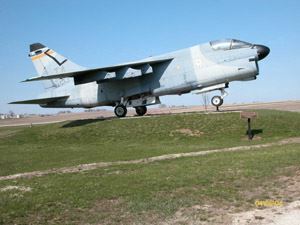 Tues, Aug 29th 8:00 a.m. to 6:00 p.m.
See the famous "Freedom Rock" on the way to the Iowa Aviation Museum. Then it's on to Greenfield's Warren Culture Center, a restored 1896 Opera House. Lunch served at Hotel Greenfield before heading to the Henry Wallace Country Life Center. The day ends with a delightful stop at Drew's Chocolates in Dexter. 8:00 a.m. Departure on a 54 passenger Arrow motor coach from the backlot of Seniors on the Move's office at 1245 8th St. in West Des Moines. 8:45 a.m. A quick stop at the famous Bubba's Freedom Rock. 9:40 a.m. Arrive at the Iowa Aviation Museum, celebrating Iowa's remarkable aviation heritage... from the first recorded flight in 1910 to its native sons and daughters exploring the universe. 10:50 a.m. Travel into Greenfield. Visit the Warren Cultural Center, with lovely rooms, ballroom lobby and auditorium. An elevator helps us see it all! Also an Art Gallery that displays 80 Iowa artists' paintings, stain glass, jewelry and more. 12:30 p.m. Lunch is served at the Hotel Greenfield (a historic landmark). 2:00 p.m. To the Henry Wallace Country Life Center to hear the Henry Wallace story. 3:20 p.m. Leave for home via the White Pole Road and a stop at Drew's Chocolates! 6:00 p.m. Approximate time of arrival back in West Des Moines. Cancellation Policy - Payment is 100% refundable if canceled 30 days prior to tour. Payment may be credited toward a future trip. Registrations are also transferable. In the case of inclement weather, every attempt will be made to reschedule.